Recently a friend (and loyal reader of our website) asked us some questions about our recent travels to Central Asia (during the summer of 2016). They were good questions, many of which related to the incredible road-trip along the Pamir Highway and through the Wakhan Valley in Kyrgyzstan and Tajikistan respectively. We sought the answers to many of these questions ourselves prior to setting out on our journey through Central Asia and thought it would be a good idea to turn the questions and answers into a general Q&A post. To add a bit of colour and entice you to visit, we’ve also added a few photographs we took along the way! 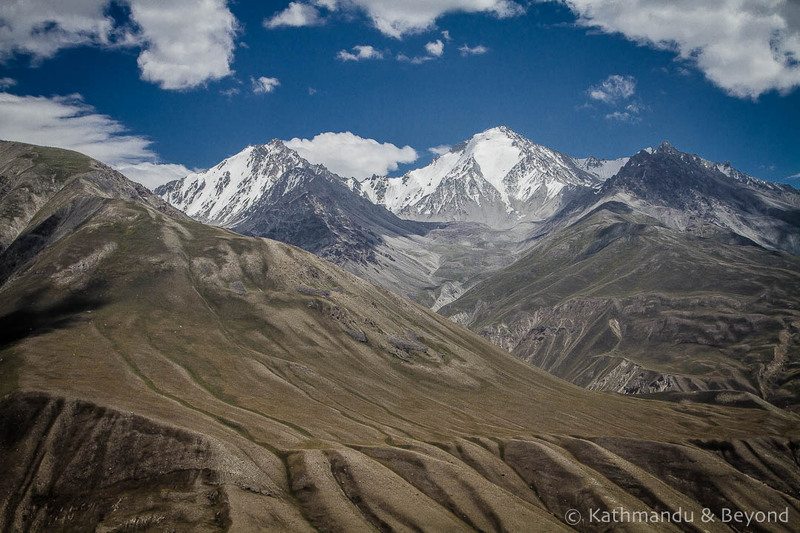 You can also see our journey in photos in our post: Travelling the Pamir Highway and Wakhan Valley: A Photo Essay. What was your route through Central Asia? Our plan after Dushanbe was to cross into Uzbekistan, spend two weeks (the duration of the visa) looking around Tashkent, Samarkand, Bukhara, Khiva and a trip up to Nukus if time permitted and then return to Kazakhstan in order to visit the cities of Shymkent, Turkistan and Astana, from where we intended to fly back to Europe. However, the Uzbeks stopped issuing visas for about three weeks, citing security issues around the anniversary of their 25th year of independence as the reason. We decided we didn’t want to stay in Tajikistan for that long and so cut our Central Asia trip short and came back to Europe. We intend to return and finish the journey in May 2017. The Jizeu Valley from Rushan in Tajikistan. This requires a tough walk in and out with luggage, which would not have been good for Kirsty’s (weak) knees. 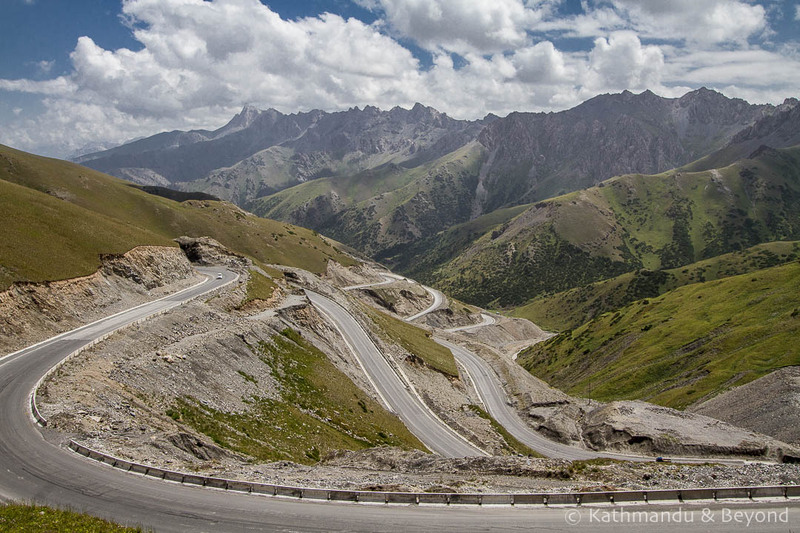 Naryn and the back route from Lake Issyk-Kol to Osh in Kyrgyzstan. We had to make a decision to either travel this route or the equally scenic M41 that links Bishkek and Osh and we chose the latter. The Fan Mountains in Tajikistan. We didn’t feel we were properly equipped to do them justice and, furthermore, the plan would have been to visit them en route to Uzbekistan, which didn’t happen because of the visa issue mentioned above. I think you wrote me that you now carry travel books on your phone. Did you carry just Lonely Planet? Yes to both questions. It is of course more convenient to leaf through a real book but we save on weight by keeping them on our phones. As far as I am aware, Lonely Planet is the only publisher who has a book that covers all of the Central Asian countries but Bradt has individual guidebooks for each of the Stans. For online information look at the excellent Central Asia Silk Road travel guide Caravanistan. How often did you get Wi-Fi access? And did you get a phone plan while there? If so, how did that work out? Wi-Fi access is improving all the time in Central Asia. The only place we didn’t have it was the Pamir Highway, the Wakhan Valley (basically after leaving Osh until we arrived in Khorog) and when we went trekking. In the cities we always had it. However, it was fairly slow for the best part but we managed to book flights, download emails etc. without any problem. We got a SIM card in both Kyrgyzstan and Tajikistan, both directly from the mobile phone company stores (Beeline in Kyrgyzstan and Metafon in Tajikistan). This was easy and cheap and in both countries we purchased a data plan so we had internet access on the go. The access was normally 2G, sometimes 3G (in major cities) and never 4G, so in places such as the Wakhan Valley, the internet was slow and very patchy/non-existent. Don’t rely on having a signal and pre-warn friends and family that you may be out of contact for several days. We didn’t get a SIM in Kazakhstan but I would imagine it would have been easy to get one there too. You mentioned long delays for visas, and that you will try to get them in London next time. How long did it take to get the Tajikistan visa? What did you hear about Uzbekistan? The major problem for us was obtaining the Uzbekistan visas as mentioned above but that was simply bad timing. Normally an Uzbek visa takes seven working days to issue at an embassy if you apply without a Letter Of Invitation (LOI) and is often issued the same or next day if you do have an LOI. Generally, visas for Central Asia are becoming easier and easier to obtain. Caravanistan is the best source for up to date information. Turkmenistan and Azerbaijan (which is not technically in Central Asia) are really the only two problematic visas these days. I’ve mentioned Uzbekistan above. Kazakhstan currently gives 15-days visa-free upon arrival (air and land) to several nationalities (including British and American) or applying for a one-month visa at a Kazakhstan embassy or consulate overseas is a simple process. Kyrgyzstan is visa-free for 60 days for at least forty nationalities (again, including British and American) and applying for an E-visa for Tajikistan is a simple process. We got an E-visa that permitted a stay of up to 45 days. Applying online was a piece of cake and the visa was available to print as soon as the application was approved and payment processed (if you apply during embassy working hours it can take as little as 20 minutes). We paid US$75 each and this included the Gorno-Badakhshan Autonomous Oblast (GBOA) permit required to travel along the Pamir Highway and through the Wakhan Valley. The E-visa was valid at all land borders, something we were little nervous about as this type of visa is relatively new. How difficult was it to get a group of people together for the Pamir Highway? It wasn’t that difficult for us as we found our own group (i.e. two more people) using Lonely Planet’s Thorntree forum. However, that said, we felt we would have had some hanging around to do in Osh if we hadn’t found the additional two people ourselves in advance of arriving in Osh. 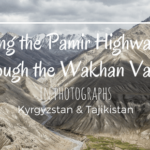 We have expanded on this question in our post: The Complete Guide to Transport on the Pamir Highway and in the Wakhan Valley. 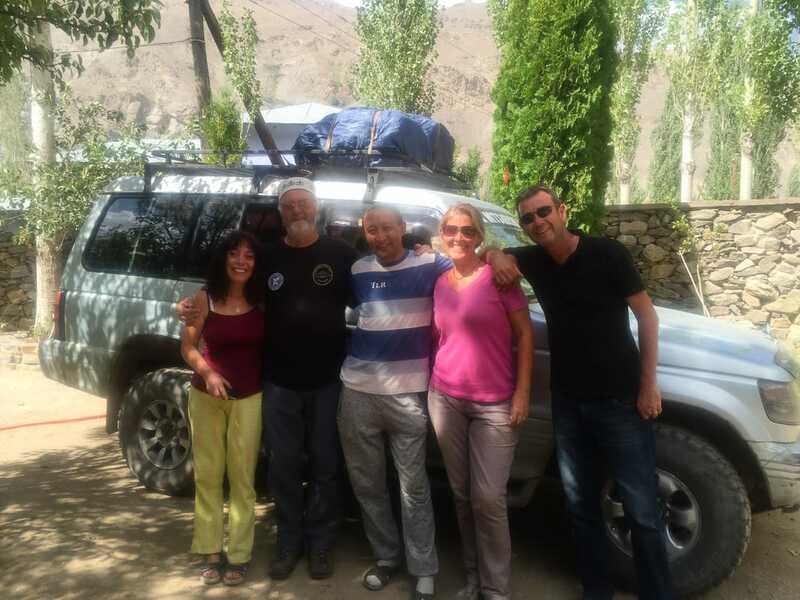 How much did your Pamir Highway trip cost and who did you book it through? This is another question, which we have answered in detail in the same post. Did you take both routes? I see there is one route right along the Afghan border and another a little north. They both sound interesting to me. 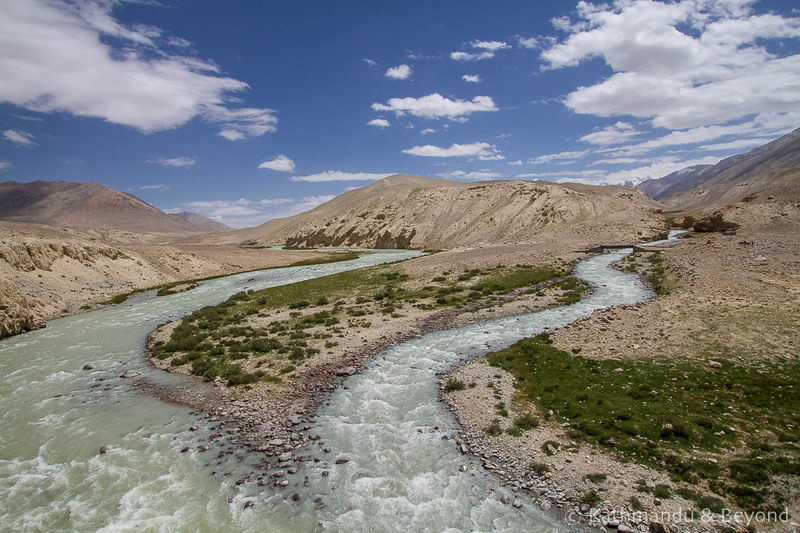 With regards to the route, the northern road you are referring to is the actual Pamir Highway whilst the southern route (along the Afghan border) takes you through the Wakhan Valley. 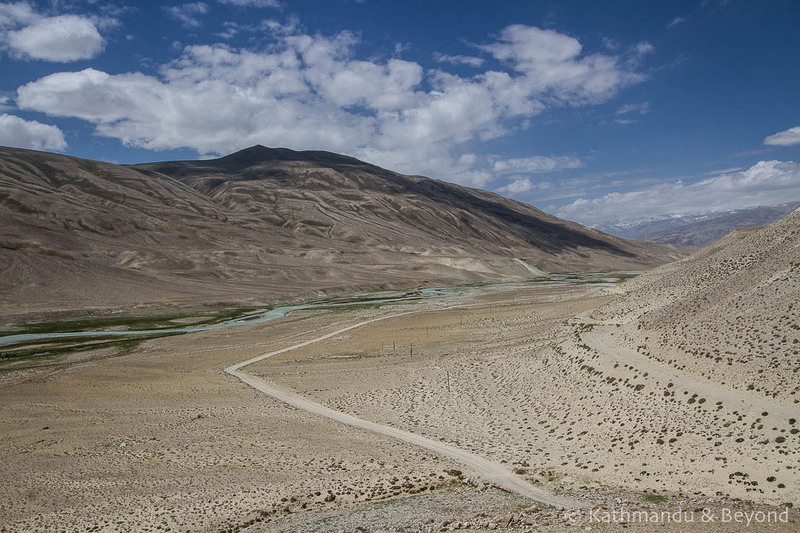 The Pamir Highway turn-off for the Wakhan Valley is close to Bulunkul via the Khargush Pass. We opted for the Wakhan Valley route but were aware that we were missing out on the final section of the Pamir Highway (Bulunkul to Khorog) by doing so. We didn’t regret this decision but it would have been nice to have also completed the Pamir Highway. 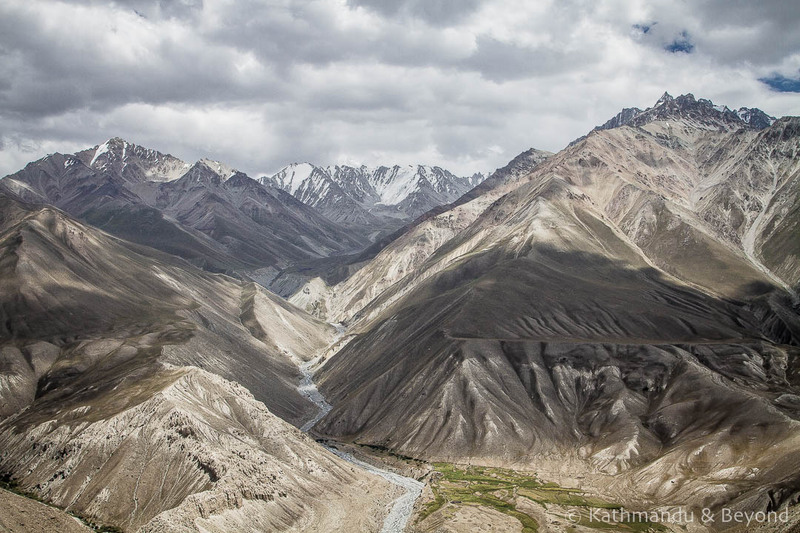 The scenery in the Wakhan Valley was an unquestionable highlight …. One option if you want to do both journeys is to take a shared taxi (the only form of public transport in the region) from Osh to Murgab and then another to Khorog, thus completing the Pamir Highway. In Khorog, the Pamirs Eco-Cultural Tourism Association (PECTA) can help make arrangements (and find other group members) for a trip to the Wakhan Valley. Taking a seat in a shared taxi is, of course, a cheaper way of travelling the Pamir Highway but there are downsides to this. For starters, shared taxis between Osh, Murgab and Khorog do not make photo stops or allow detours to visit valleys, forts, viewpoints etc. plus they are usually overloaded with passengers and very uncomfortable. Furthermore, if you then visit the Wakhan Valley from Khorog, you will probably have to repeat the last section of the Pamir Highway once more (from Bulunkul to Khorog). I say probably as there is the option to leave the Wakhan Valley via the Shokh Dara Valley and hence return to Khorog that way but this is not a popular route and I reckon finding other travellers that would want to do this route would be few and far between. It would be a wonderful route, however, if you already had your group in place! Osh – Sary Tash – Tulpar Kul (Achik-Tash) (1st night) – Sary Mogol – Peak Lenin Base Camp (2nd night) – Karakul (3rd night) – Murgab (4th night) (side trips to the Madiyan and Pshart Valleys) – Bulunkul (5th night) – Langar/Hisor (6th night) – Vrang – Yamchun – Namadgut – Anderob – Ishkashim (7th night) – Khorog (end of services)). 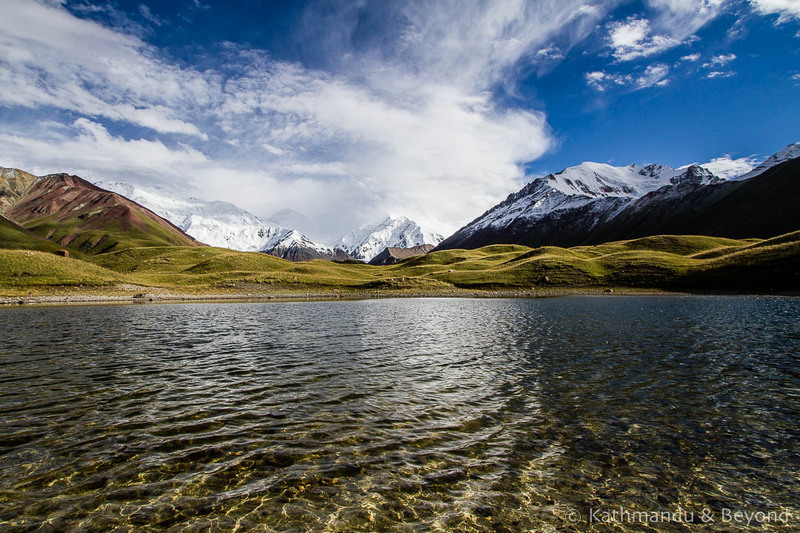 Most people do not include a night in both Lake Tulpar Kul (Achik-Tash) and Peak Lenin Base Camp as they are close to each other. 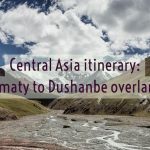 Our original intention was only to sleep at Peak Lenin Base Camp but we found out that there was a nomadic games festival taking place at Tulpar Kul during this time so we included a night there in our itinerary as well. On a non-festival day, without hesitation, I would say that Peak Lenin Base Camp is a more rewarding place to overnight than Tulpar Kul if you decide to omit one or the other. Overall, our itinerary was well balanced. We could easily have spent more time in Langar/Hisor (relaxing and hiking) however, plus the side trip to Anderob (to see a weird looking hot spring) wasn’t really worth the effort. Finally, note the Saturday border market at Ishkashim (we planned our visit to coincide with a Saturday) has been closed for at least eight months and there is no plan to reopen it. There is little other reason to visit Ishkashim so it could be omitted from an itinerary if you wished, although it is still a convenient place to break the journey. Did you make it into the Wakhan Corridor and, if so, how did that work out? We didn’t make it into the Wakhan Corridor in Afghanistan. We did, however, travel through the Tajik side of the Wakhan Valley as mentioned above. Travelling along the Afghan side of the Wakhan Valley is reportedly safe but more expensive and harder to organise than on the Tajik side. I have to say at this point that although I was initially disappointed that we didn’t go to the Afghan side of the valley or indeed the corridor, the journey that we did do (along the Pamir Highway and through the Tajik side of the Wakhan Valley) ranks as one of our top highlights in nearly eight years’ of travel. There is an interesting section in Lonely Planet’s Central Asia guide entitled To go or not to go? The Afghan Wakhan. It’s an interesting read that basically questions the need to go to the Afghan side of the Wakhan (where prices are high and levels of service terrible) when the Tajik side is equally as stunning and a fraction of the cost to visit. Getting into Afghanistan is very fashionable at the moment and local Afghans and travel companies are taking full advantage of this fact when it comes to costs so although it has been an obsession of mine for about twenty years, I’m going to hang on in there and wait until I can see the country properly (and hopefully) safely. With a laptop, phone, and camera, did you have problems keeping them all charged? I’m guessing some places may have only one outlet? In the Pamir Highway and the Wakhan Valley, we were able to charge our electronic devices more often than we expected but power was limited in most places to certain times of the day (normally we got it in the late afternoon/early evening) and power-cuts were common in both areas. We gave priority to our camera batteries (we carry a spare), then our phones and finally our laptops, which we didn’t get much chance to use anyway. A charged laptop also acted as a backup power source for charging our phones when power was not available. Elsewhere in Central Asia, we only encountered issues with charging devices when trekking and staying in yurts. Dorms in hostels were also sometimes an issue if outlets were limited and being hogged by other travellers. I saw something on your blog about you using Booking.com. Did you book places in advance? We did pre-book much of our accommodation in Central Asia but normally only a day or two in advance (which is normal practice for us wherever we are in the world). The exception on this trip was the journey along the Pamir Highway and through the Wakhan Valley, where we just found somewhere to stay upon arrival. There was never an issue with this even though we were there at the height of the season and the homestay owners will always find another bedroll and a corner in which to put it. Be prepared to share a room with others in this part of the world. How much should I budget for accommodation and food on the Pamir Highway? With the few exceptions, the homestays consistently charged $15 per person per night. This included bedding on the floor (sometimes a private room, more often a shared room), breakfast and dinner. On the occasions a hot shower was available, this was also included in the price. I remember you writing that the homestays on the Pamir Highway and in the Wakhan Valley were better than you expected. Any places to recommend? They were, much better than expected. In fact, I was impressed with the level of cleanliness and the food wasn’t half as bad as I was anticipating. Furthermore, we managed to get a hot shower most nights! 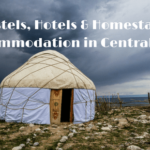 We have detailed the places we stayed in Central Asia and highlighted our favourites in our post: Recommended Hotels and Home Stays in Central Asia. 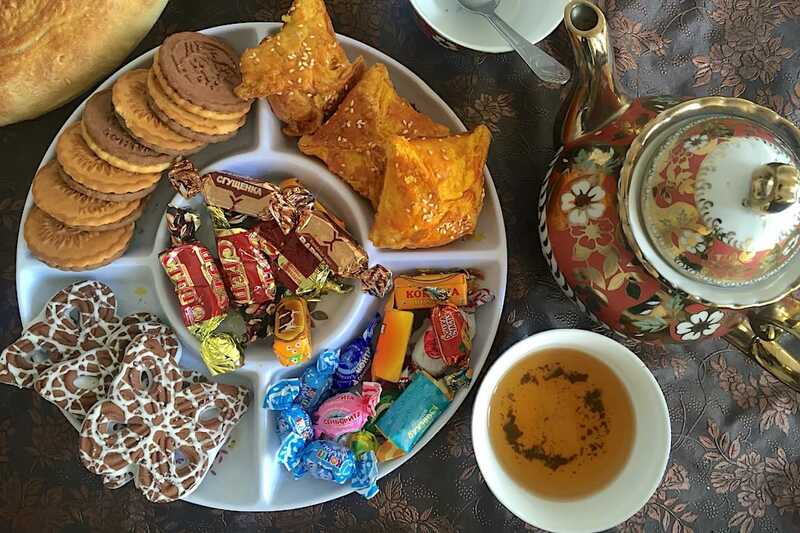 How warmly do you need to dress for the high Pamirs in July/August? The weather in July and August is typical of many high altitude destinations (Ladakh, Tibet, Nepalese Himalayas etc. ), i.e. warm and sunny during daylight hours and cold at night (although not nearly as cold as we were expecting). During the day we were normally in trousers and t-shirts (it was also warm enough for shorts) while the arrival of evening necessitated a fleece or light jacket. Although we took a hat and gloves, we only wore them once and that was at Peak Lenin Base Camp. In both yurts and homestays, you are provided with a mountain of blankets and duvets that are sufficient to keep you warm and cosy. Yurts are colder than homestays. In our luggage for this trip we each packed a Deuter Dreamlite 500 sleeping bag. This type of sleeping bag will not keep you warm if used on its own (it’s only classified as one-season) but it’s perfect as an extra layer and for distancing you from the (sometimes) manky bedding. We always got them out when we stayed in yurts and sometimes used them in the homestays as well. We will be writing more about Central Asia in due course but, in the meantime, if you have any other questions, feel free to drop us a line. Oh, and I nearly forgot, one final word of advice – whatever you do, don’t even think about cycling or walking (yes, you read it right) the Pamir Highway and the Wakhan Valley. We saw plenty of cyclists (and one guy walking) the route and the look on their faces said it all! I’ve read the food is terrible and that I need to carry drinking water for the duration of my trip. Is that correct? We heard the same thing about the food and stocked up on instant noodles and other snacks. However, with the exception of a couple of places, the food was pretty decent. Repetitive yes, and lacking the spice we crave, but that’s the same story all over Central Asia. So, although there’s no need to take meal substitutes, we would suggest maybe taking a few snacks: biscuits, chocolate, dried and fresh fruit etc. Bottled drinking water is hard to come by once you leave Osh, particularly the large 5/6 litre containers, so we were glad we had taken more than necessary. It’s cheaper, kinder on the planet and means you don’t have to spend time searching for it along the way, if you stock up and just store it in the back of your vehicle. If you aren’t carrying sufficient water, you should carry something to sterilise water. Do you have any other questions about travelling in Central Asia? 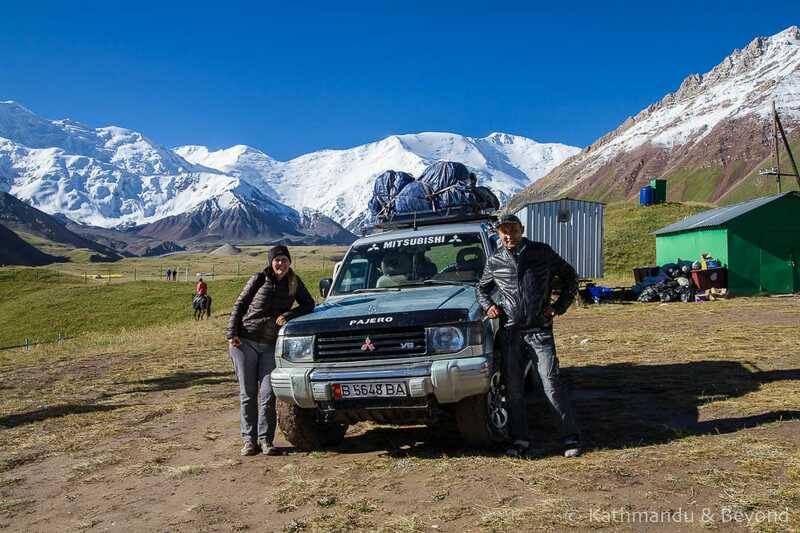 Or about booking a trip along the Pamir Highway? Leave your question in the comments below and we’ll add them to this article. The Taldyk Pass looks awesome, guys. Could you do any trek in Wakhan valley?